In December 1933, Masujiro Hashimoto founded a car company in Japan that he called Nissan: a company he built on the philosophy of enriching people’s lives. 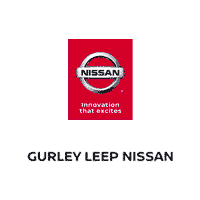 Seventy years later, in 2003, Nissan became the tenth member of the Gurley Leep Automotive Family and we continue Hashimoto’s philosophy. Whether you are new to car-buying or a seasoned car-buying veteran, our sales team has the experience and the expertise to find the perfect car for you. Whether that car is brand new, used, or certified pre-owned, Gurley Leep Nissan is committed to giving you the most enjoyable car-buying experience. Don’t forget to check out our buying vs leasing page to help you decide which works better for you. After you’ve found the perfect car, our finance team is here to help you get financed regardless of your credit. Be sure to ask about our programs and see which ones you may quality for. When your car needs service or maintenance, our service department is ready to take care of you-whether it’s a bulb change or a major repair, our Nissan Certified Technicians can get you back on the road and give you peace of mind. Prefer to do it yourself? Our parts department will find the parts you need. Visit us at Gurley Leep Nissan, 5210 Grape Rd Mishawaka, IN. 46545, and see how we continue to enrich people’s lives. We look forward to seeing you!